Having a great smile is a privilege that everyone in Shelby should enjoy. The confidence that comes from having genuine pride in your pearly whites is irreplaceable. However, many of us struggle with imperfections in our teeth. Broken, chipped, cracked, stained, and crooked teeth can really put a damper on your smile. At Discovery Dental, we know how much a healthy, happy smile means to Shelby residents, so we’d like to talk about how Dr. Miller can help get you the smile you deserve with veneers. Veneers are thin layers of composite, or dental porcelain that are placed over the surface of a tooth to correct cosmetic and functional issues. Invented in 1928 by Charles Pincus, veneers were originally intended to give movie stars perfect teeth for the silver screen. Back then, they were only temporary due to a lack of competent adhesive, but modern dental medicine has advanced to the point that veneers can last for up to 30 years, and are nearly identical to natural teeth in form and function. Before deciding if veneers are right for you, it is best to visit Discovery Dental for a consultation and discussion with Dr. Miller. If veneers can accomplish your cosmetic and functional goals, Dr. Miller will take a mold of the tooth/teeth to be fitted and send it to an expert technician in a dental laboratory, who will craft the perfect veneers to match your existing teeth. Once Dr. Miller has prepared your teeth for fitting, she will place your new veneers, taking your smile to the next level. Although veneers are stain-resistant, Dr. Miller may recommend avoiding coffee, tea, red wine, and tobacco. 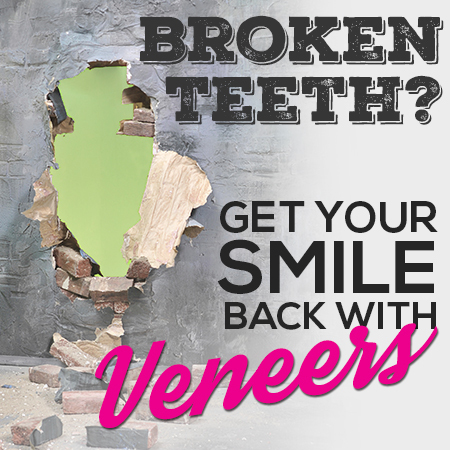 Give us a call today to find out how veneers can give you the smile you’ve always wanted!